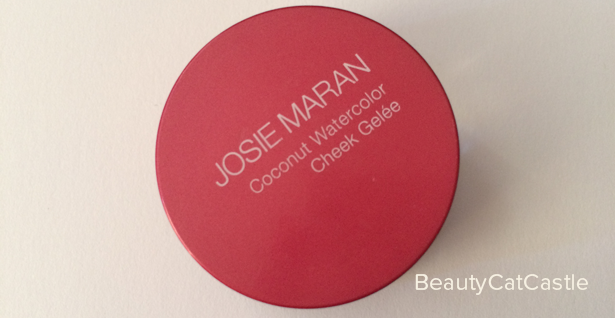 Another product I picked up in Melbourne was the Josie Maran Coconut Watercolor Cheek Gelee in Berry Bliss, it's a part gel, part cream. These are avaialble in six shades and are awesome for the summer as their base is coconut water they never feel dry or crumbly and are great on a warm day. They work like a stain and should be applied with fingers are brushes are not going to do you much good here, the downside being that your finger will be stained too. In addition to coconut water it also has argan oil in it so it's very hydrating - these would be amazing for dry skinned folks. I usually have oily/normal skin but i still find these to be really amazing and long lasting, they also make a great base for powders. They really do look and feel like jelly and after 5 months this is as much as I have used up after almost every day, by the looks of it i suspect this is going to last a good few years. It's not sticky or greasy and is fragrance free. 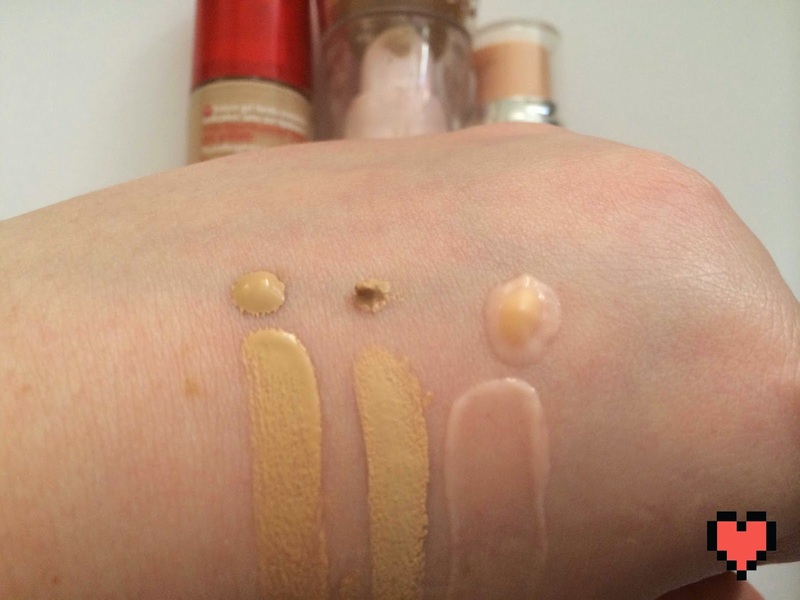 It's buildable and melts into the skin and looks very natural. 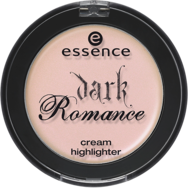 Because of this it will look good on almost any skin tone but darker skins will likley need an extra layer. Let's not dwell on the reasons why but just move on to the new review, and maybe i will explain another day. 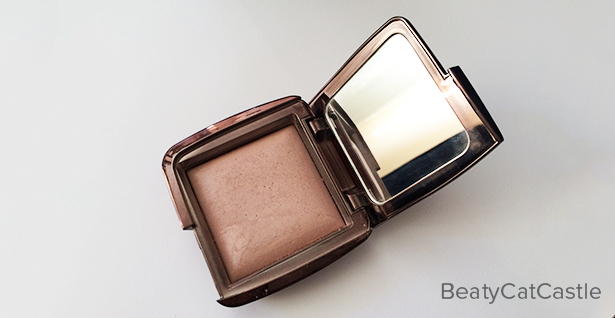 For now let me introduce you to the Hourglass Ambient Lighting powder in mood light. 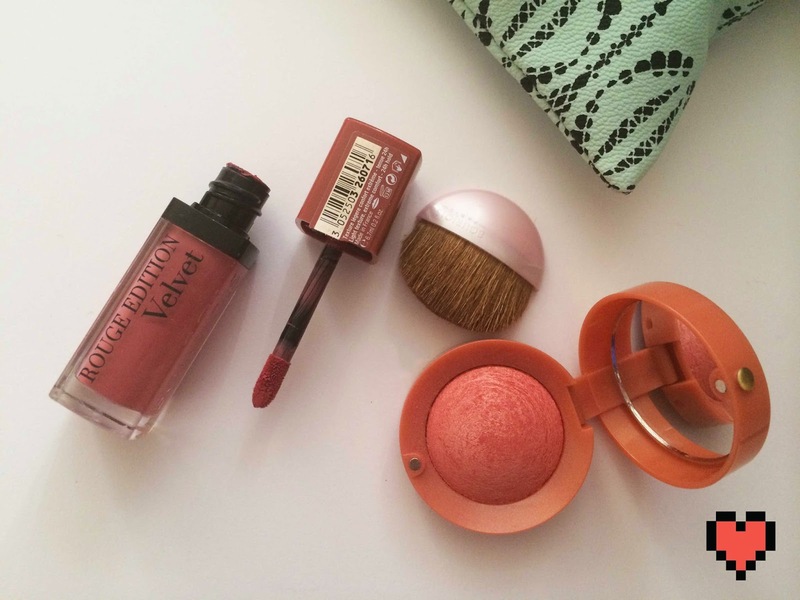 I picked this one up while I was in Melbourne last October for the Penny Arcade expo and spent some time at Mecca Maxima falling deeply in love with some products, it was love at first swatch. 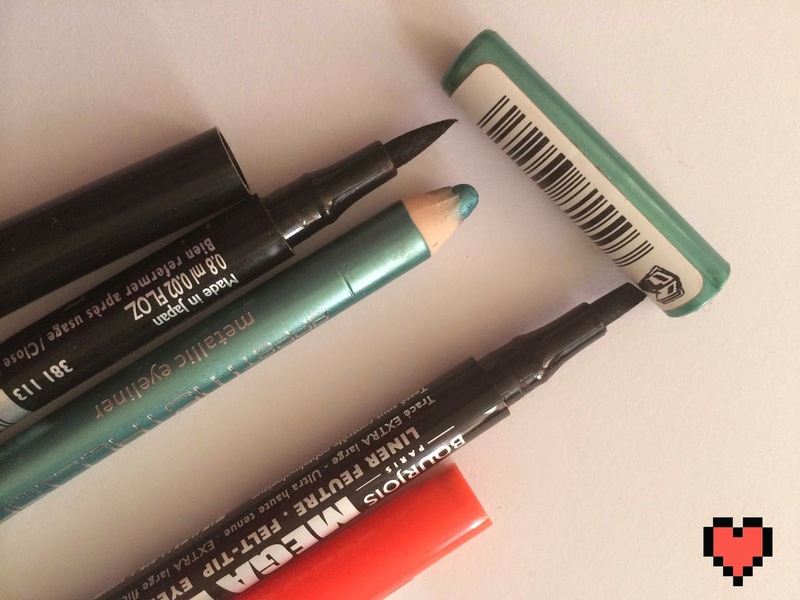 If you spend anytime on beauty blogs then you know all about these and so feel free to skip because this review is going to get a bit gushy. 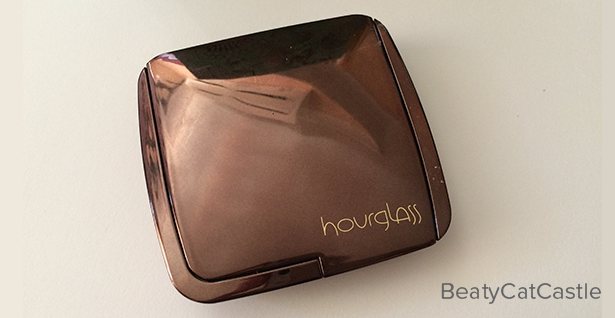 Very simmiliar in packadging to the Hourlgass Blushes it's glossy brown case with interior mirror which while nice is probably not going to be highly used (by me at least). It fits nicley in your palm and is a very good size, it's going to last a while. 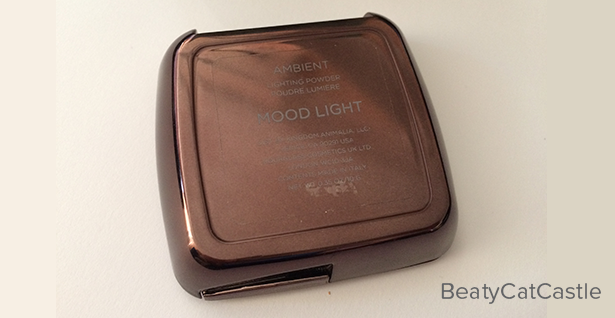 I picked out mood light after swatching several of the powders at Mecca and pretty much swooned, i walked away but came back 20 minutes later because I couldn't stop thinking how pretty it was. 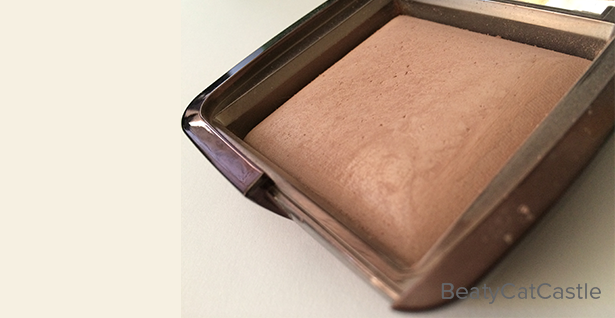 The powder is designed to mimic flattering light as it would appear on your skin. 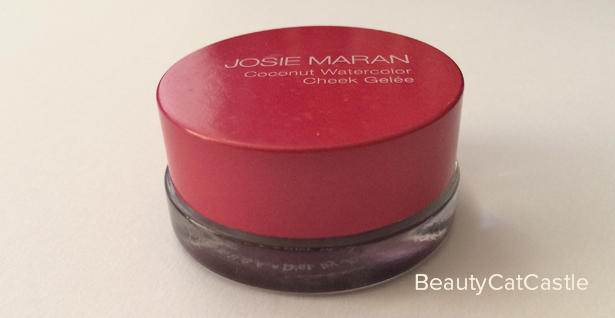 Like many other mineral powders it's mad eof tiny particles built to diffuse light and blur imperfections. 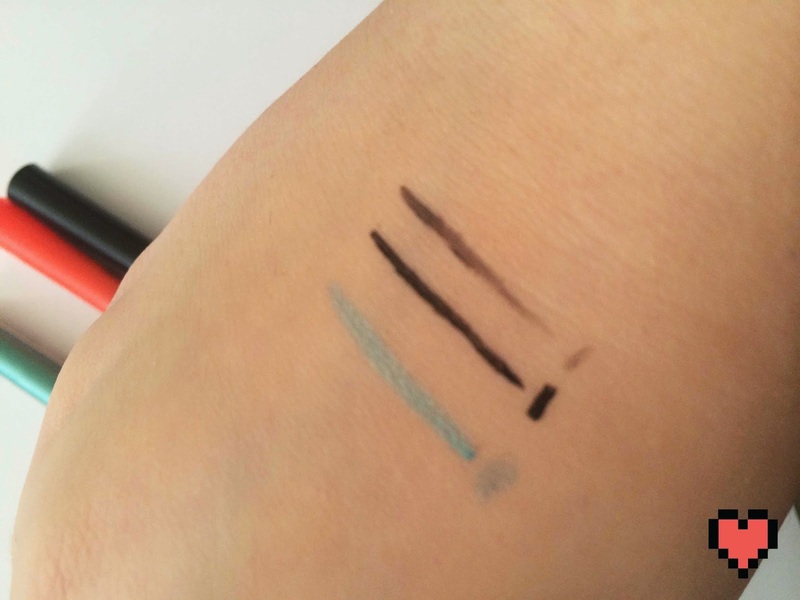 Most of the the time this can be a major problem as they tend to be shimmery and turn your face into a disco ball, however the hourglass powders make that not be the case, now sure how, leprachaun magic maybe? The one you choose will depend on your needs, the diffused light shade for instance is yellow toned and does a good job of brightening and covering any dullness or redness. I choose Mood light as I am terribly pale and have a bad relationiship with sunlight, mood light is pink toned but not red and is great at making my skin look like I might have actually been out in the sun at some point, it makes my skin look alive and awake and photoshop perfect. A few weeks ago I wondered into the Body Shop to find that they had not only recently permanently dropped their prices (awesome) but was also sporting some new scented hand creams and though it took me a few days hunting to locate the scent I wanted (it was sold out everywhere!) i eventually found this baby in the city store. 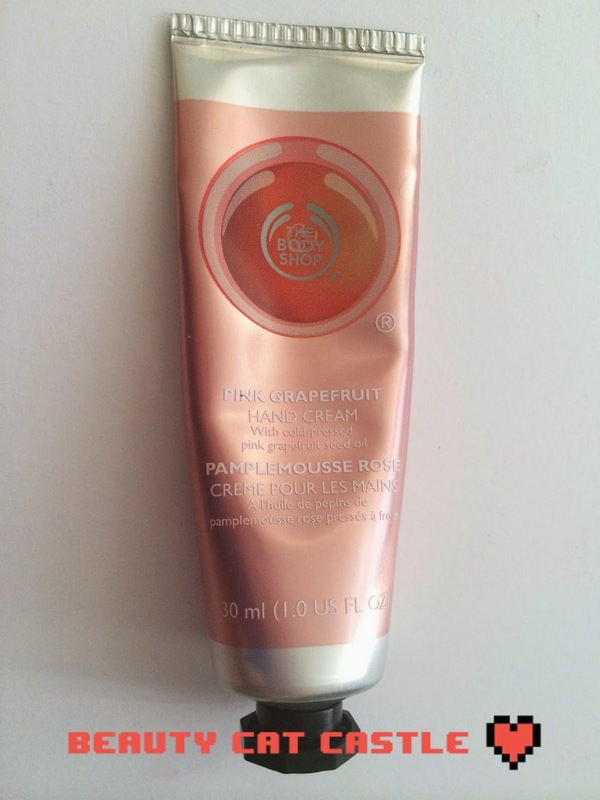 That is the pink grapefruit scented hand cream, which smells amazing! Each tube is 30ml and it comes in several scents including coconut, strawberry, mango, honey, and more and come in at $9.95. In terms of formula these are much more gel then actual creams which makes them very lightweight and super fast at absorption. I tend to keep this near my computer because it absorbs quick enough that I can watch an youtube and and put this on but by the time the video loads my hands are all good to put back on the keyboard without leaving grease stains. The scent is strong when you first put it on but it's not so strong that you will taste it if you put your hands near your mouth or put something into your mouth after putting it on. Each hand cream contains cold pressed oil of whatever scent the hand cream is, in this case grapefruit seed oil and shea butter. 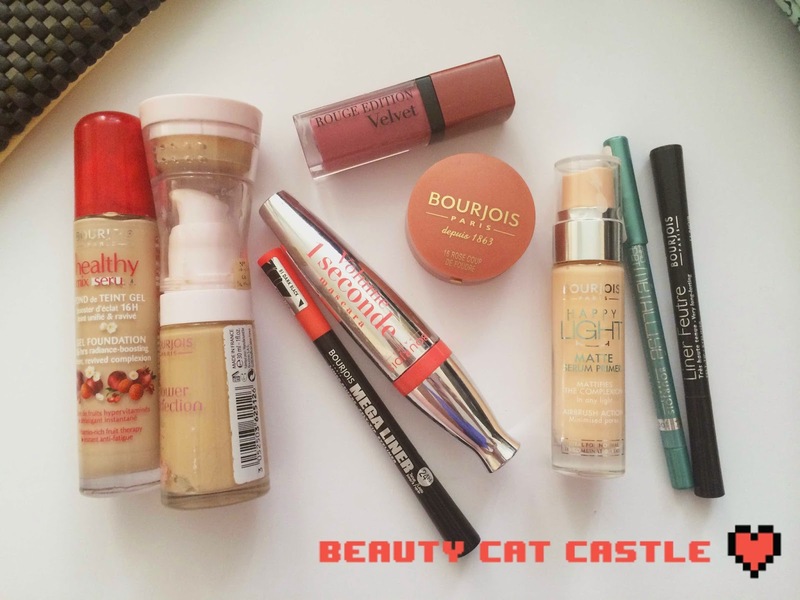 As I was walking out of Priceline with my Bourjois gift in hand, it occurred to me that I had quite a few of their products and that it might be fun to do a little overview of the brand as it's a little more expensive then some of the other Priceline brands so it might be harder to test out their stuff sometimes. 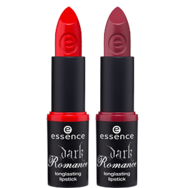 Over the years I have owned many of their products and a long time ago they used to make my favorite lipstick of all time which sadly is no longer a thing. However a few months ago they did release a very similar limited edition product of the same nature which was awesome. 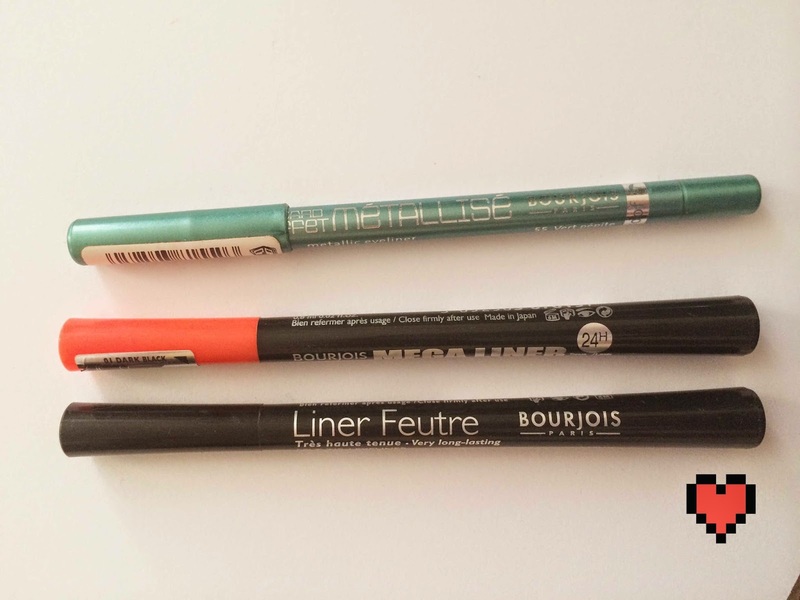 Bourjois is a French cosmetics company originally launched in 1863 and a lot of their products fit into a very vintage French theme, including their many gift make-up bags, two of which you can see in the corners of the above photo. 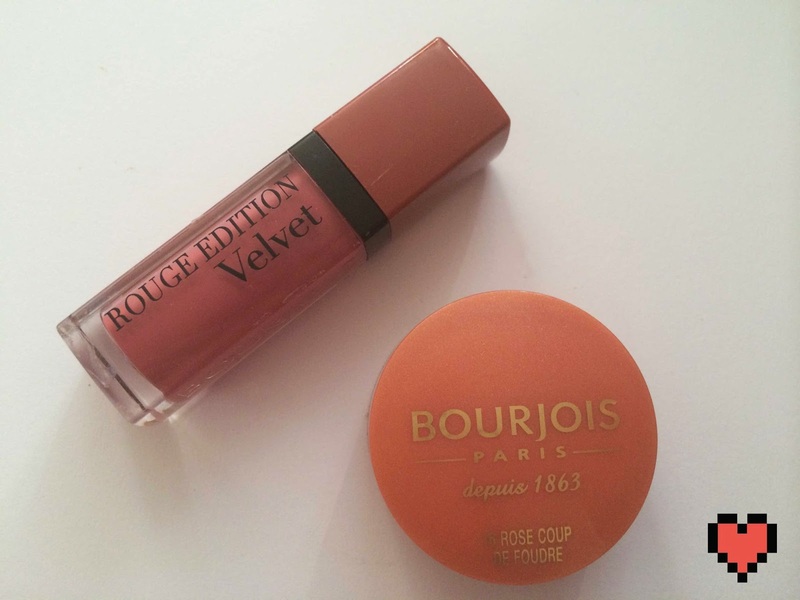 Overall Bourjois products are a little more expensive but they make up for it in quality and they also have sales and gifts such as the one that's going on right now. 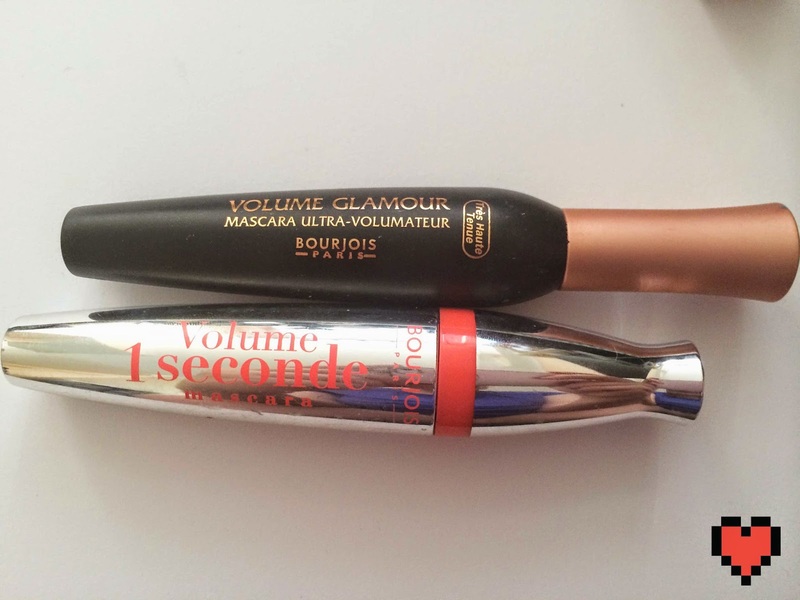 So if you have been holding back now might be a good time to take a whirl on the Bourjois carousel. * The following product was submitted freely for review by the company in question, therefore this is a sponsored post. That does not impact the authenticity of the review below. 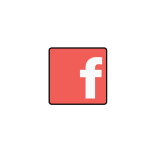 none of the links are paid links and are provided only for convenience. About a month and a half ago I was contacted by a company representing Veet inquiring if I would like to test out some of their products and since I have been in a bit of a blogging funk (feeling very uninspired lately) I was totally up for doing something a bit different. The fact that it was shaving stuff was an added bonus because in the Winter (now) my bathroom is freezing and shaving my legs there is the exact opposite of a fun time. 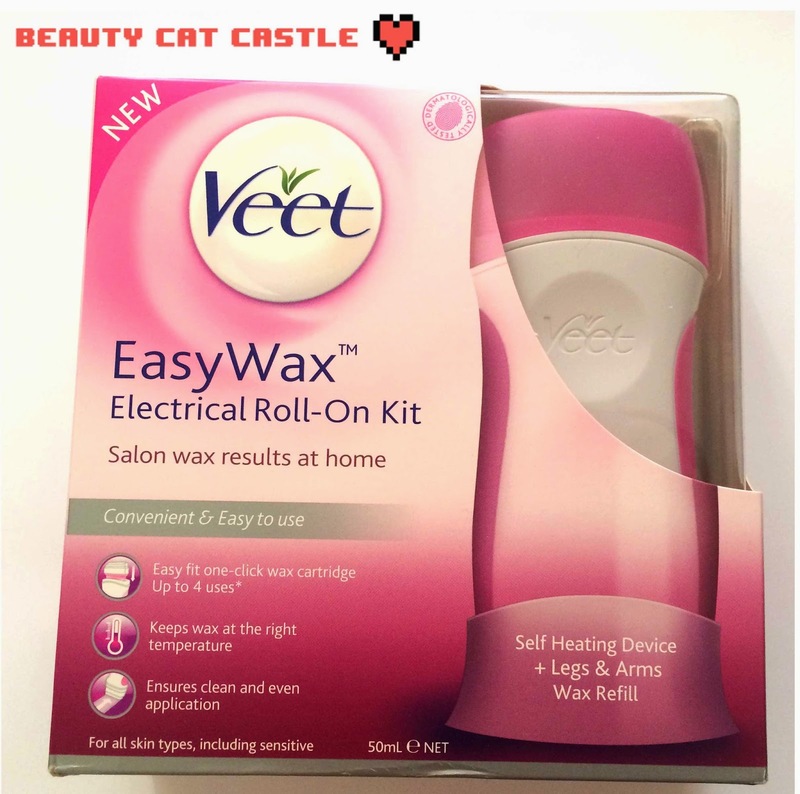 So the stuff I have been testing out was; the Veet Easy Wax electrical roll on kit, the Veet hair removal cream, and the Ready to Use Wax strips, i'll go through them one at a time. 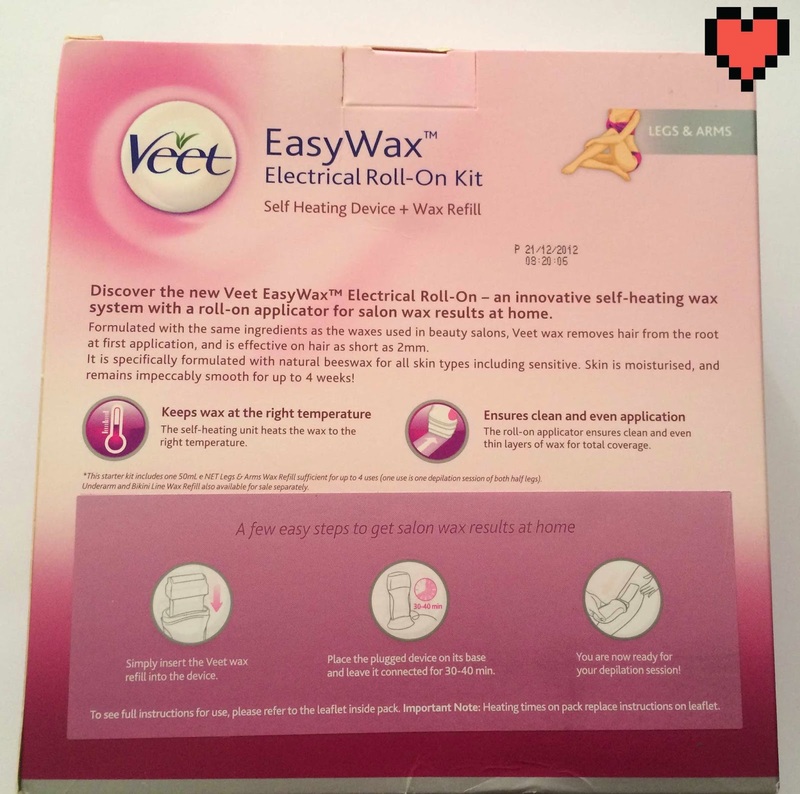 The idea is that you slot the wax into the holder and let it heat up for 20-25 minutes, apply to fuzzy area, apply strip, hold the skin tight and yank away. If your a fan of waxing then this is very much makes the process easier in that you don't have to mess around with wax heating and cooling while your using it, messy spatulas and basically mess everywhere. 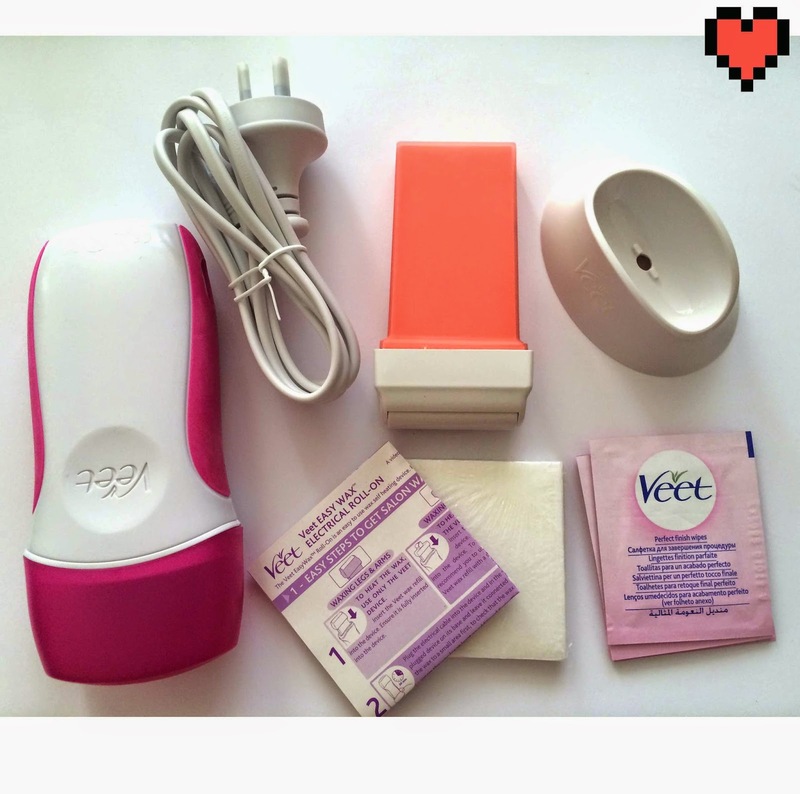 The kit includes the stand/docking station, wax holder, wax refill, perfect finishing wipes, some linen(?) strips, and power cable. I don't usually use waxing being more of razor girl, but like I said the freezing bathroom has discouraged me from venturing in there for any longer then is strictly necessary so I was happy to try this. After perusing the kit for a bit of time I plugged it in and waited 20 minutes.....then waited 15 more for the wax to be warm and smooth enough to properly go through the roller so a bit longer then the packaging promised. Be sure to wait the enough time and not try do it too soon or the wax will be warm and mobile but not the correct consistency and will just kind of resemble a melted crayola crayon, you want a more liquid consistency. After that the process was fairly simple and pretty painless (basically the same kind of pain you get yanking out eyebrows, just all at once). The amount says it lasts 4 sessions and that's probably quite close ut I would say closer to three since you need to test the wax a few times before you get the right consistency, though with more practice you would probably know better how long it takes to heat up to your perfect consistency. Lucky I was doing only one leg (I saved the other leg for the other two products) because I would not have had enough strips to do the other but I have hear of people using old cut up cotton shirts or I guess you can just buy some extras. 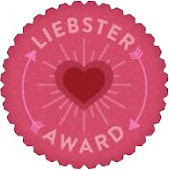 I would use this again but probably only if the next two options weren't available, as they proved way more awesome. 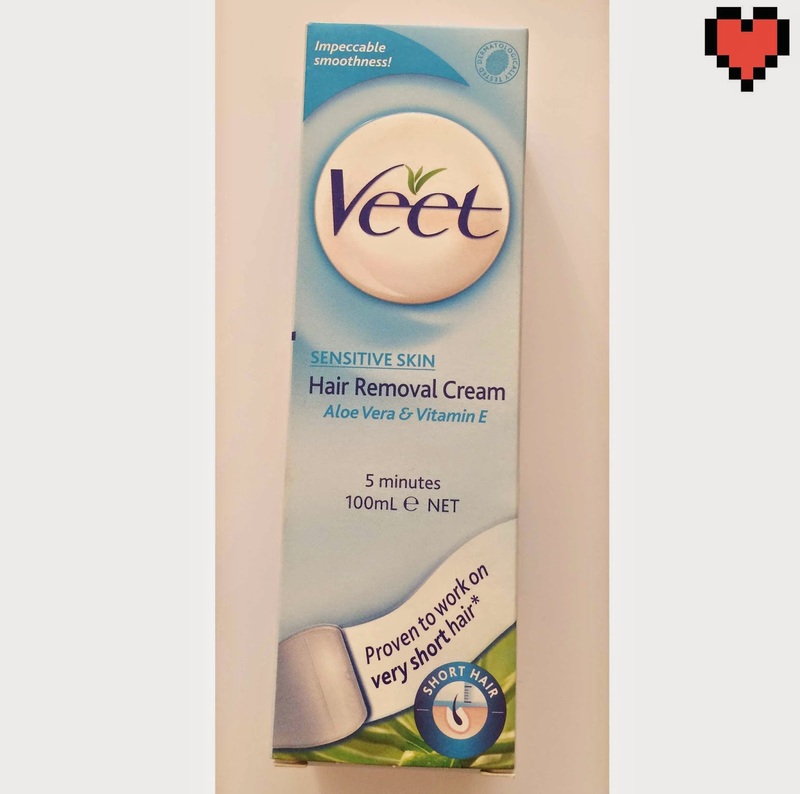 The Veet Sensitive Skin Hair Removal Cream which no lie is totally awesome, and i will 100% repurchase as it was done in about 15 minutes (while the wax kit was still heating up), it smelled a little bad but not unbearably so and it's far from your nose so it really made no difference to me. It comes in a large plastic tube with a spatula, you spread the cream on the hair (even little hairs get effected). It doesn't have to be very thick either so you get quite a bit of run for your money, wait 5-8 minutes, turn the spatula around and scrape it off. Completely painless, and super fast. This was my absolute favorite of the three and if you don't like shaving or waxing then this a clear winner. 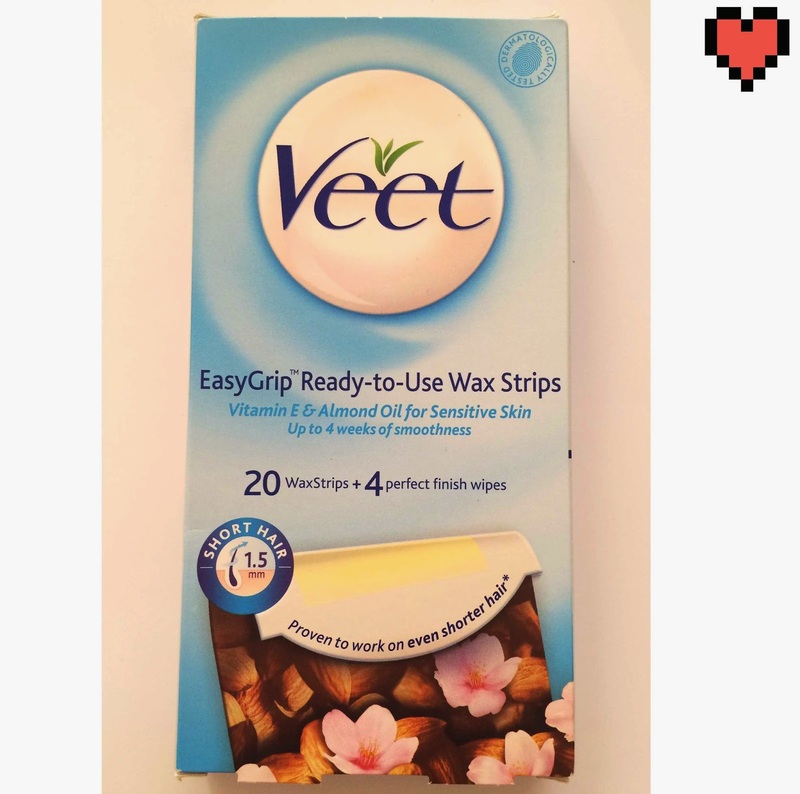 Lucky last was the Veet Ready-to-Use Wax Strips which are two clear strips with wax between them, you warm these in your hands by rubbing them for a few minutes, separate them, apply to shaving area, pat down and then yank away again. I found these much quicker to work with then the kit and the wax seemed to grab on a bit better too. It's a little boring having to warm the strips as you can't really tell when they are warm enough. However I think these would be great for those hard to reach ankle areas or as a travel shaving since it's problematic to travel with razors or wax and the cream might take a bit of space and requires a little more room and towels then this would which you can just apply and tear away and your done in less then 5 minutes. Each shaving box came with the perfect finishing wipes which were actually surprisingly nice and certainly felt a little indulgent as they smell nice and do a good job of getting rid of extra wax or cream and help calm down any sensitivity. 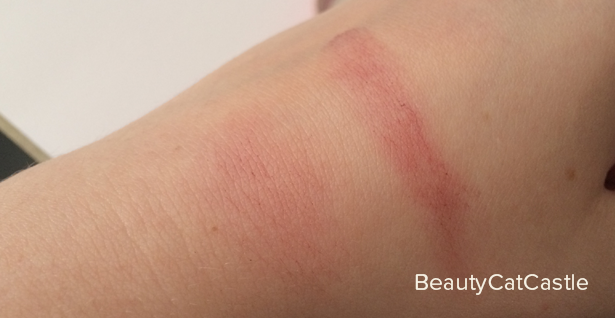 Speaking of which I only experienced a few red bumps from the EasyWax kit which went away after about 2 hours, the other two caused no issues whatsoever, which is nice as they were marketed as sensitive skin type. In the future I think I will stick to the hair removal cream, and take the wax strips travelling with me. 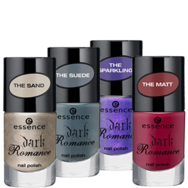 If you are interested you can find these items at their official site here or at your local Priceline, among numerous other places. Regulars will know of my love for matte lipsticks and lip products, the downside of that love is dry and chapped lips, which isn't helped by my lip biting tendencies. 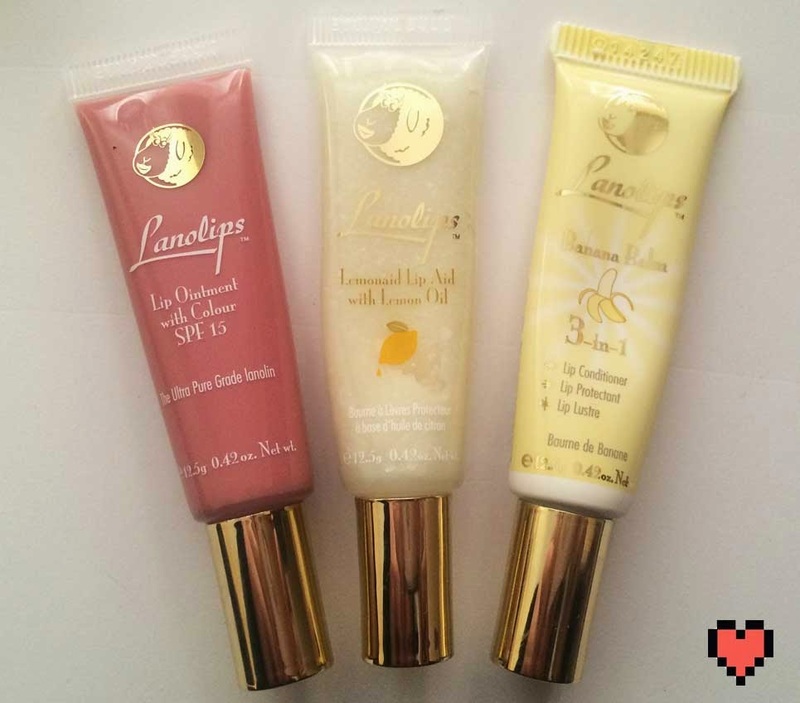 In an effort to fight lip dryness i have recently discovered Lanolips, and it has (as you can probably guess by the amount of products) become my favorite lip balm type product and I do not see myself going back. so let me take you through my Lanolips journey. 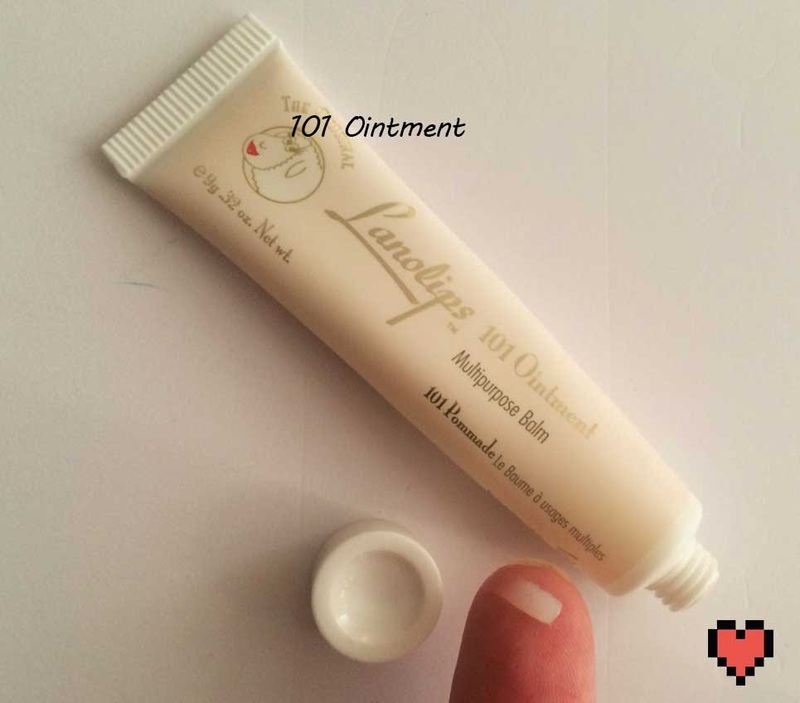 101 Ointment - This is a multi-purpose, treatment balm, infused with 100% (!!!) pure medical grade lanolin. It is all natural, fragrance-free balm, and apparently holds up to 200% of its weight in moisture as well as being dermatologically tested. As a basic balm it's damn near perfect and is a no fuss and moisture packed almost silicon like gel. You can use it for anything, although i have mostly stuck to lips but it's perfectly safe for almost any (outer) dry body issues. Keep in mind none of these are the kind of balm that disappears and is quickly absorbed, nope, not here, it sits like a shield on your dry bits and constantly keeps the area moist and does a great job of healing the area up if it is chapped and damaged. 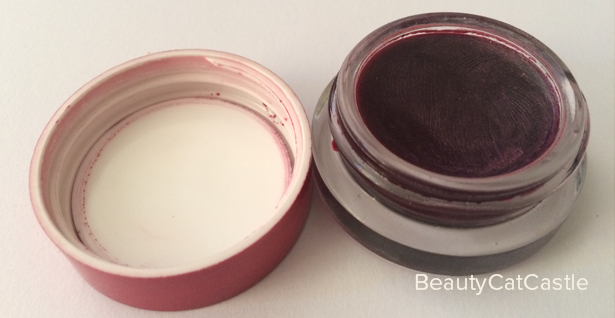 I was able to get severely damaged lips (ie bleeding and broken) to look almost perfect with a single overnight use. 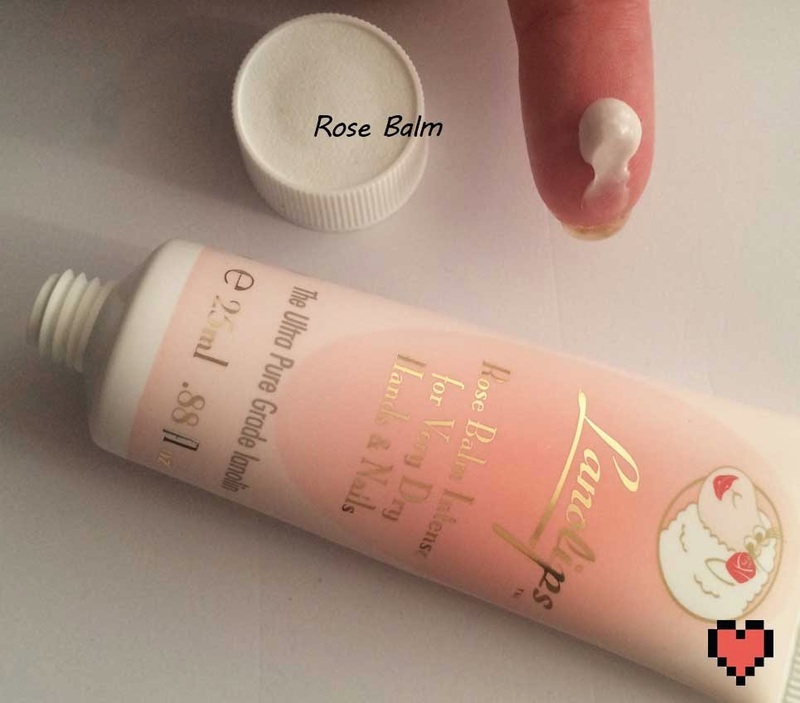 Rose Balm - A super creamy hand balm. 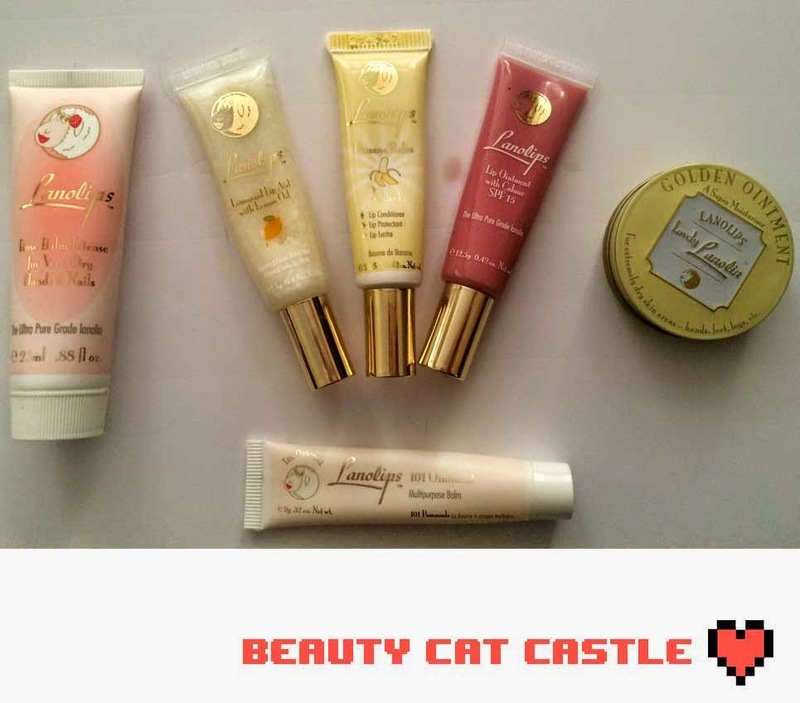 It's very moisturizing and again contains the high grade lanolin as all their other products. It's not quite as mind blowing as their lip balms but you could certainly do much worse. It does a great job especially if you hands are more then just a little dry but for regular hand care it might be a little too heavy. Smells great though. 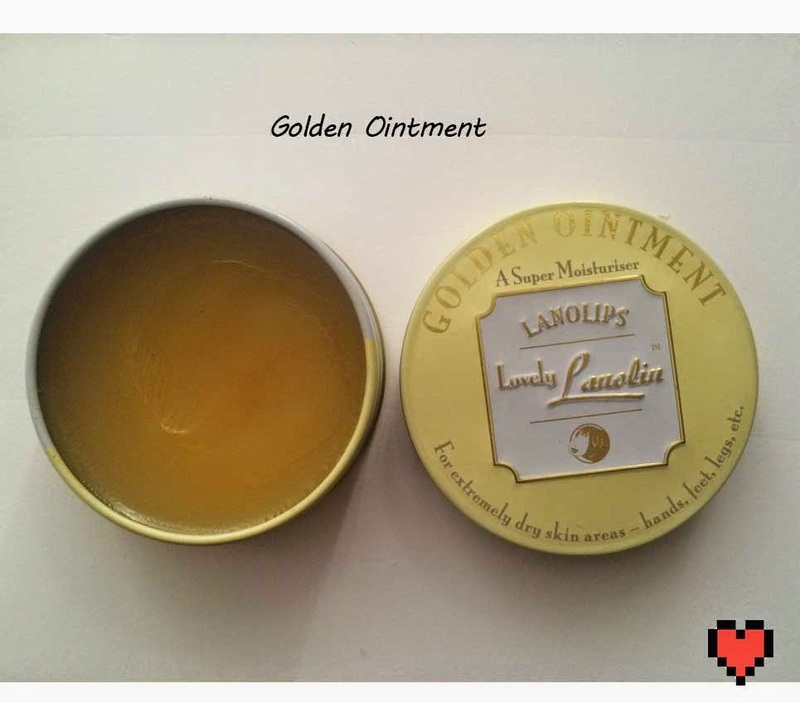 Golden Ointment - Honestly this is the product i have used the least as my major dryness really occurs on my lips. however my partner has some bad dryness on his forehead and this did a wonderful job of fixing it. 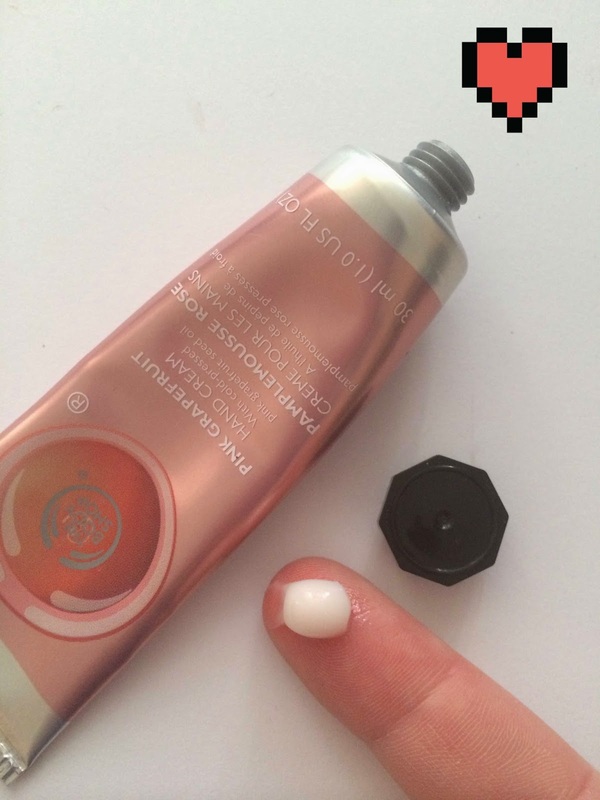 Like the 101 Ointment it's a multi purpose balm but has a bit more oomph behind it. 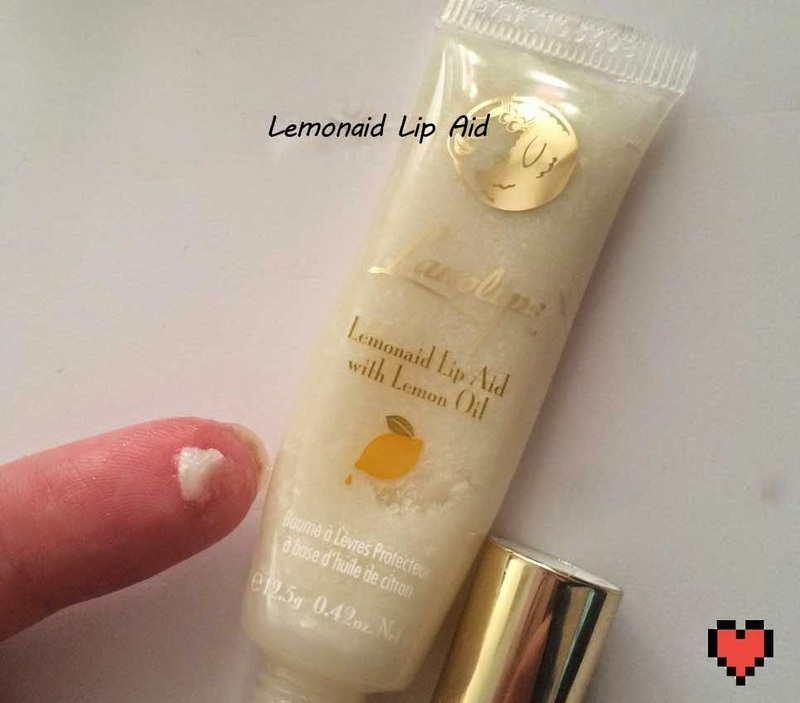 Since this one is a little more heavy it's more recommended for use outside your face such as feet or elbows but it still does a good job especially if have painful lip cuts or splits as this one product contains medical grade lanolin, manuka honey and vitamin e.
Lemonaid Lip treatment - This was my first individual purchase and i could only keep one product it would probably be this, it's sweet but not gross lemon scent and amazing performance is a keeper. 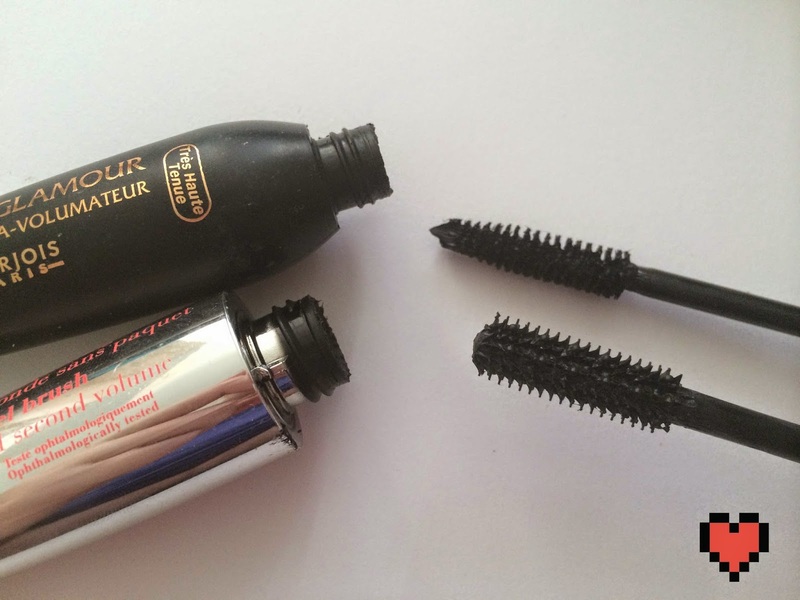 It now has a slanted applicator tip which older versions apparently did not so it's super easy to apply. I use this one overnight or if i'm having a particularly bad flaking as it is a exfoliator with it's natural lemon ingredient. If you can only get one, get this one! It's has a small amount of micro glitter as well but is otherwise clear. 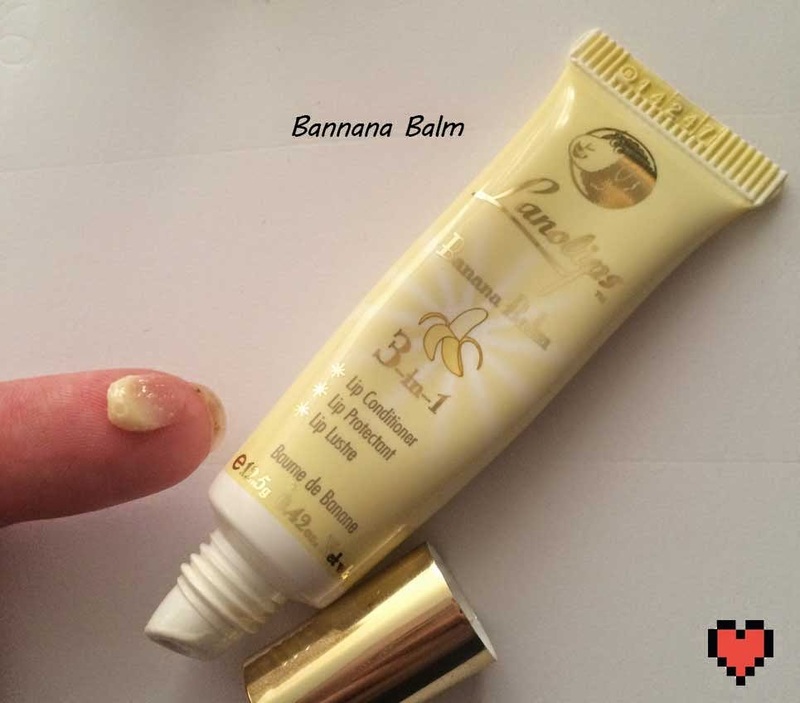 Bannana Balm - This is their newest release, and it's idea is to be a 3 in 1 treatment which protects, conditions and adds luster to your lips. Which sounds great but honestly the other do all that too! This one a bit more of a cream then a gel and smells amazing, not 100% banana, more like banana and caramel. I do quite love the scent and it feels quite luxe to wear, a very nice choice. 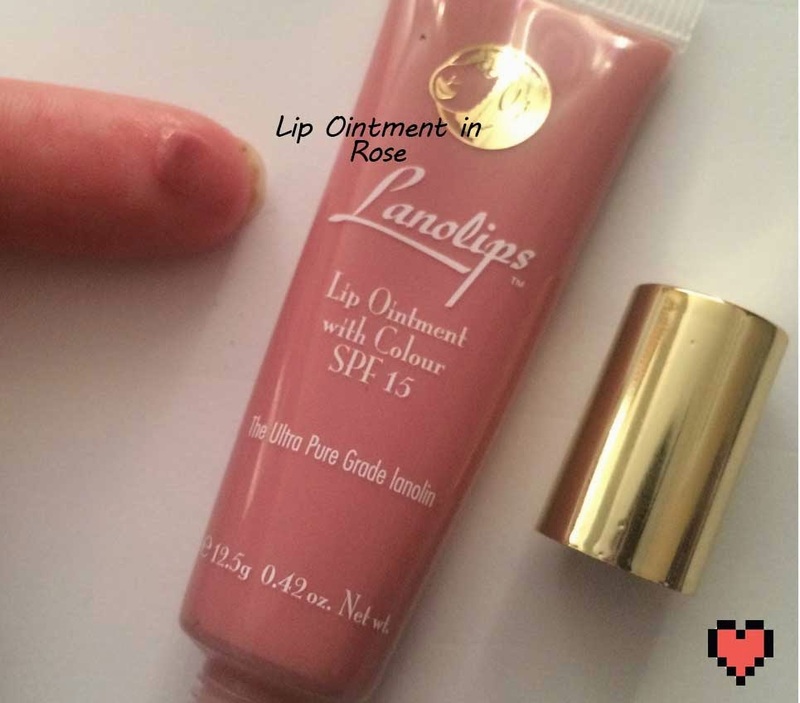 Tinted Lip Ointment in Rose - I picked this one up because I was loving my Lanolips but got a bit frustrated that i couldn't really wear the banana or lemon outside without my lips looking a bit white or yellow-ish from the clear of banana gloss. 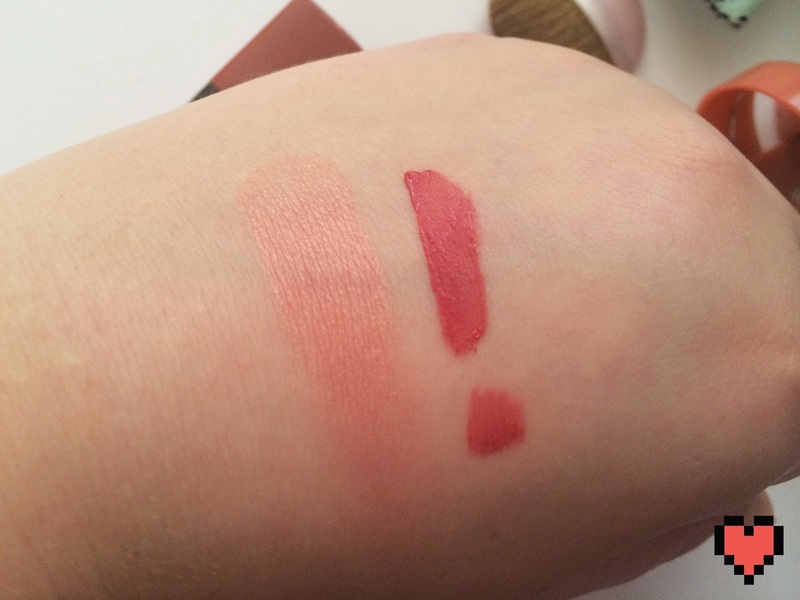 The answer of course was the tinted version of Lanolips, I picked it up in Rose because none of the shops near me had any others but I'm sure together colors will make their way to my bag. 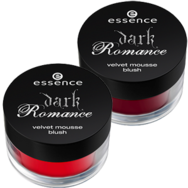 however the color is gorgeous and very much a my lips but better color for me. Now you can have the best of both worlds! 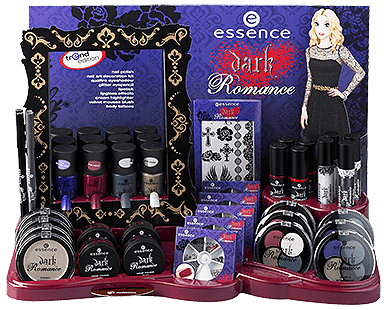 Most likely influenced by the release of Maleficent, Essence has brought out their Dark Romance collection, and i am quite excited by this one. It's been a while. and I think this is the most exciting edition in a while. Cream highlighter in 01 Light Up! 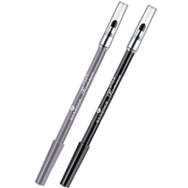 Lip gloss effects in 01 Black Shadow, 02 Light Up! 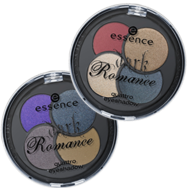 Eyeshadow Quads in; 01 Mystery Glam (red, gold, cream, navy), and 02 A Romance to Remember (purple, navy, taupe, bronze). 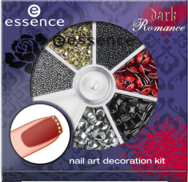 I'm going to pick up one of the blushes and the red nail polishes and maybe one or two more things, what are you most interested in? You can find it now at Priceline.